If you are a budding Civil Engineer or a construction enthusiast and you have the urge to really understand what you are getting into, and visual representations of complicated and sophisticated information serve better to your brain cells, this article is meant for you. Civil Engineering means nothing if you are not executing what you are studying. Efficient execution of construction projects demands extreme poise, patience, experience, and composure. This comes with time and getting to witness the execution of immense projects vicariously by putting yourself into the construction arena may give you a tinge of the feel and weather you a bit for the future. There are multiple TV shows and documentaries out there capturing the immensity as well as the niceties involved in the construction projects. With Jonathan Hart, Tom Goodman-Hill, Greg Stebner, Jay Simon. This documentary series focuses on extreme construction projects — be they the biggest, tallest, longest or deepest in the world — and the machines used to create extraordinary structures. With Guy Grison, Bill E. Cunningham, Alberto Ruiz Gallardón. Capturing the biggest, most complex, most stressful and most dangerous engineering projects around the world, Megabuilders chronicles the most awe-inspiring construction projects in modern engineering. With John Michie, Jem Stansfield, Eddie McCann, Andrew Szydlo. 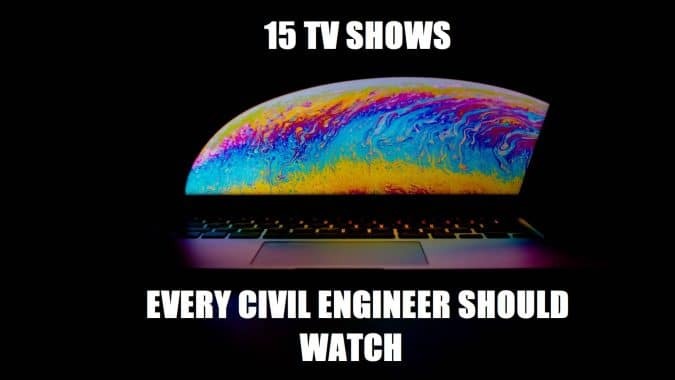 Each episode explores the engineering breakthroughs that have enabled us to develop the largest structures currently in existence. This is done by presenting multiple landmark inventions. With Kavan Smith, Thom Kikot, Helen Cheyne, Nick Eyles. Stripping major cities naked of their steel, concrete, buildings, roads, rivers and bedrock – layer by layer – to explore the secret technology and infrastructure that keeps them running. What stops Dubai’s super tall skyscrapers – balanced on unstable sand – from toppling over? With Sean Riley, Florent Deplanche, Kyle Howe, Chris Lashua. World’s Toughest Fixes goes inside some of the most daunting repair jobs imaginable. Each episode follows host Sean Riley as he pushes himself to the limit while working with some of the world’s top riggers. With John Michie, Mark Keller, Qarie Marshall. A team of experts must deliver an oversized object from point A to point B within the given timelimit. With Danny Forster, Joseph Giotta, Larc Spies, John Littlefield. Each episode of Extreme Engineering features a major construction and engineering project. Some projects are completed ones, like the new Hong Kong airport. Other projects are those under construction like the Gotthard Base Tunnel under the Alps. With Pete Nelson, Tory Jones, Christina Salway, Dana Klisanin. A man builds one-of-a-kind treehouses. With Chris Broyles, Iain Lee, Michael Pongracz, Mike Goral. This program is about engineering and scientific miracles and the people whose ability to solve problems make them happen. With John Michie, Denny Heide. Dirty Great Machines introduces us to the might of the biggest, most awe-inspiring and technologically advanced drilling, excavation and tunneling equipment known to man. From bucket wheel excavators to monster maritime machines and mighty drills, witness these incredible pieces of equipment in action as they take on some of the world’s most challenging engineering projects. Created by Bruce Nash. With Lloyd Sherr, Harlan Saperstein, William Atwater, Alexander B. Rubinow. Fast-paced, fun and informative, Modern Marvels is The History Channel’s signature series focusing on historical technology. Directed by Gyz La Rivière, Rotterdam 2040 is a film about a city’s future, departing from the principle of Gyz La Rivière that you can’t look ahead without considering your past (something that hasn’t always been Rotterdam’s strongest feature). With Patrick Tuffy Bakaitis. Paulie and Tuffy are 2 friends that own a construction company named Cabin Kings. They travel across America meeting clients, and with their help building amazing cabins for a cheap and acceptable price. With Tee Schneider, Alan Bacchus, Edward Daranyi, Suzanne Hersh. Mighty Machines focuses on footage of real machines (firetrucks, airplanes, freight trains, snowplows) working. Voiceovers tell the story of how the machines work together to get work done. Directed by Gary Hustwit. With Paola Antonelli, Chris Bangle, Andrew Blauvelt, Erwan Bouroullec. A feature-length documentary about our complex relationship with manufactured objects and, by extension, the people who design them. With Richard Hammond, Stephen Ralphs, Hugh Hunt, Tom Bach. Richard Hammond tells us about extraordinary objects created with science, art & technologies. Then, also, he reveals the big ideas and/or inspirations to create that massive masterpiece.